What would you do if you had ten hours in Tokyo? All I desired was to stuff my face—furiously and exceptionally. Thanks to the advice and direction of my friends Tomo and Darin, The Astronomer and I not only ate extraordinarily well during our layover, but we managed to do so without getting lost and missing our flight back to the States! 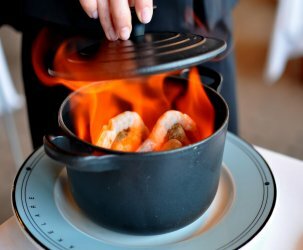 It was a delightful whirlwind of tastes, sights, and energy, whetting our appetites for more Japanese adventures in the future. 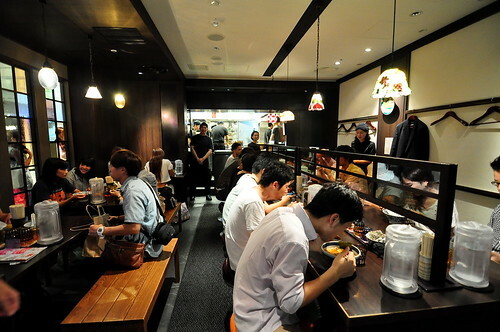 Tokyo Ramen Street, a street exclusively for ramen at the Yaesu Underground Exit of Tokyo Station, features a range of Tokyo’s most famous ramen restaurants. 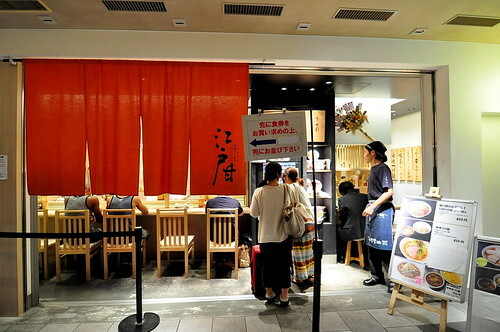 Four shops were originally opened in June 2009: Rokurinsha Tokyo, Hirugao, Ramen Mutsumiya, and Keisuke Kitanosho. 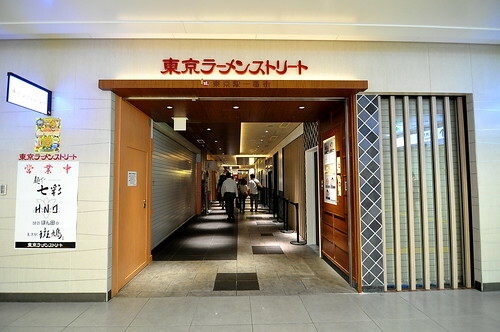 The grand opening of a second series of four shops took place in April 2011: Tokyo Station Ikaruga, Honda, Junk Garage, and Shichisai/Tokyo Edoama. 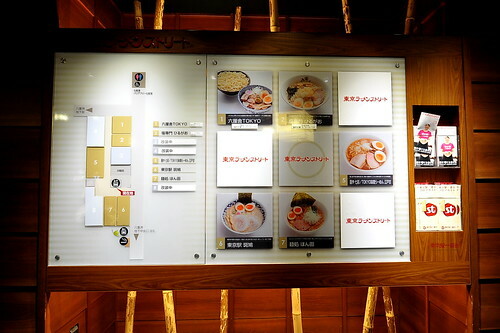 When The Astronomer and I arrived on the scene, we found that Ramen Street was undergoing major renovations and five of the eight shops were closed, including our intended destination Rokurinsha. Since waiting in an hour-long line for Rokurinsha was no longer on the docket, we headed to Ikaruga and Menya Shichisai/Tokyo Edoama instead. 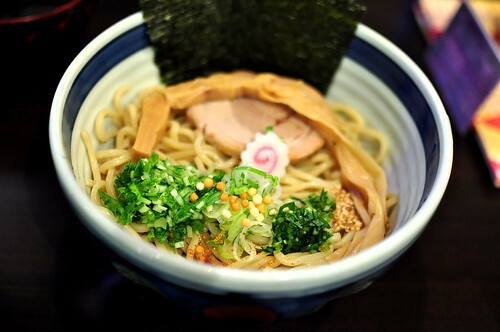 Both shops served up superb bowls of deliciously different ramen. 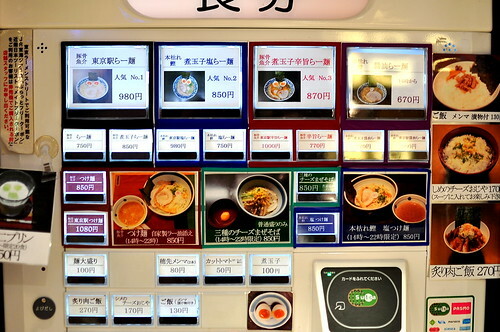 We purchased tickets from each restaurant’s vending machine, whimsically choosing what to eat based on the pictures scattered on the surface. 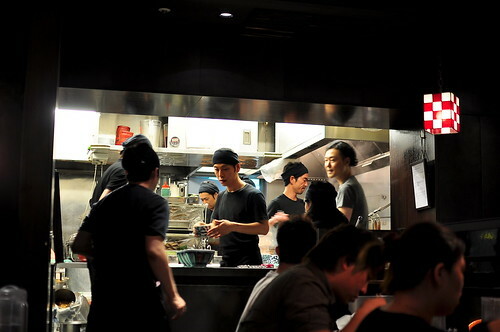 Ikaruga was totally hoppin’ when we came in; nearly every seat was taken and the kitchen was cranking out bowls of tsukemen and the soupy stuff at a rapid clip. After handing our ticket to a member of the waitstaff and waiting a short while, The Astronomer and I dug into a pitch perfect bowl of pork seafood tsukemen. 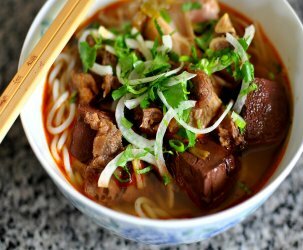 Accompanying the toothsome, glossy strands were slices of chashu pork, bamboo shoots, scallions, a fish cake, and a swipe of house-made chili paste. 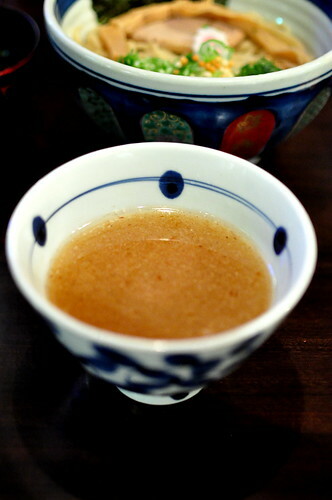 The dipping broth, imbued with genuine seafood funk, really made this a bowl to remember. 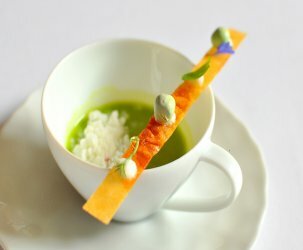 Dip, dip once more, slurp! Next, we walked over to a shop with two identities. 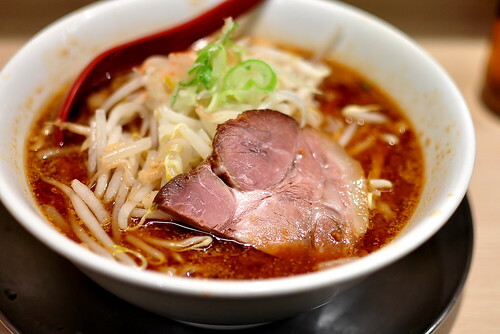 During the day, it goes by Menya Shichisai and specializes in soy sauce ramen. 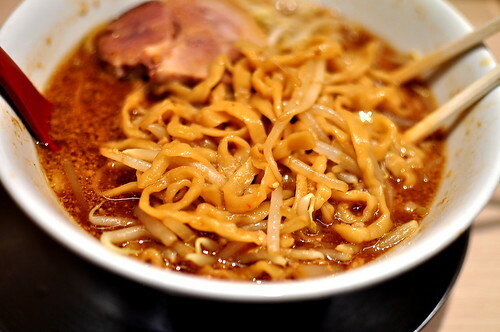 At night it is known as Tokyo Edoama and serves miso ramen. We dined here during the late afternoon and were treated to the Tokyo Edoama experience. 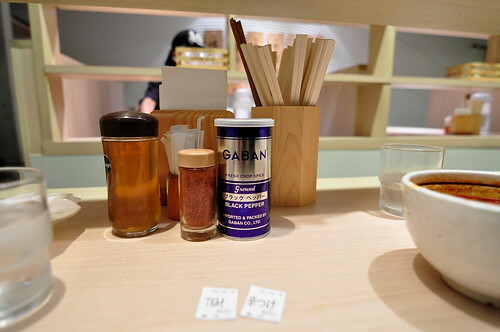 Tickets in the foreground, chopsticks, toothpicks, napkins, and spices in the background. First up was a bowl of Tokyo miso ramen. 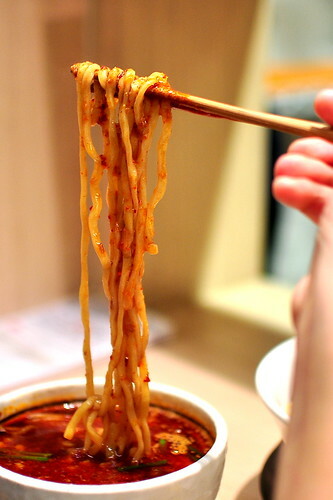 The noodles were wide and perky, while the broth was assertive and bold. The tender slices of chashu were especially unforgettable. On a whim, we also decided to sample the spicy tsukemen. 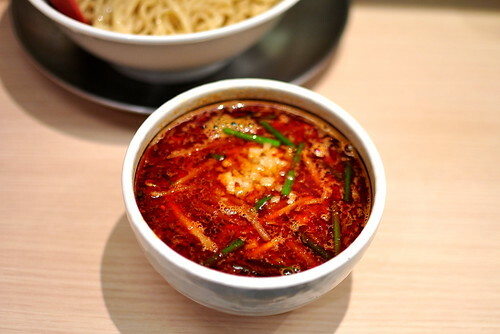 Tinged a fiery shade of red, the soup was legitimately spicy, leaving our lips tingly and noses beaded with sweat. Ack, sorry to hear about the remodeling. Glad to hear it was still a great time! Darin – Definitely a great time. Sometimes it works out better when the super-popular spot is not an option—no waiting in line and lots more variety! Loved that all the ramens were so different and like nothing available in L.A.
What a great way to spend a layover! I love the vending machine concept. Oh my goodness. You used those ten hours very well.